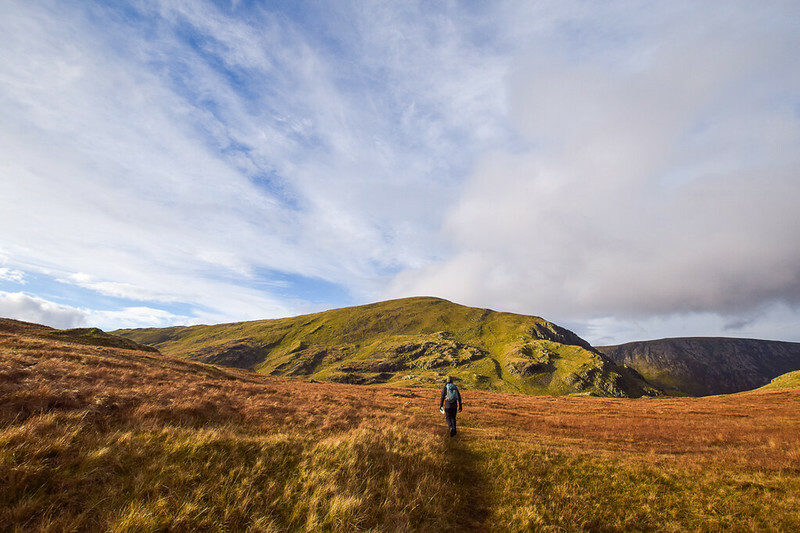 Looking for some awesome fell walking routes in the Lake District National Park? 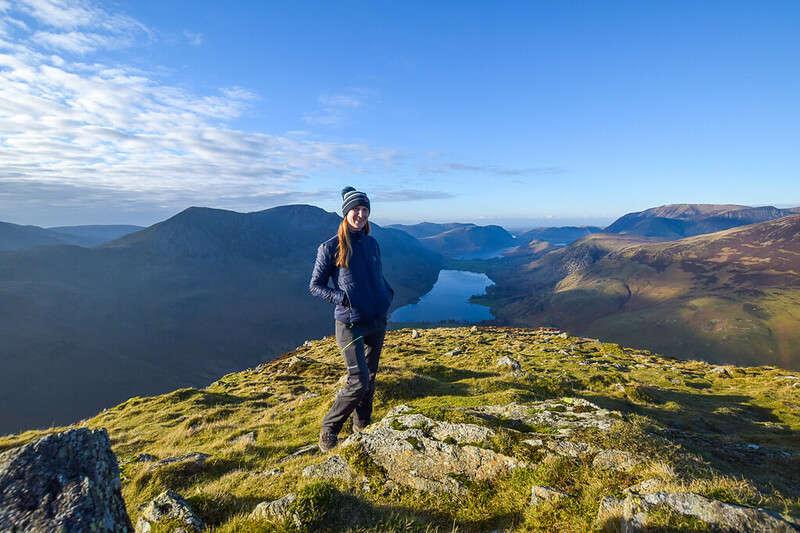 After spending four days near Borrowdale at the YHA, I explored and hiked some wonderful trails, all with epic views of the Lake District fells and lakes. 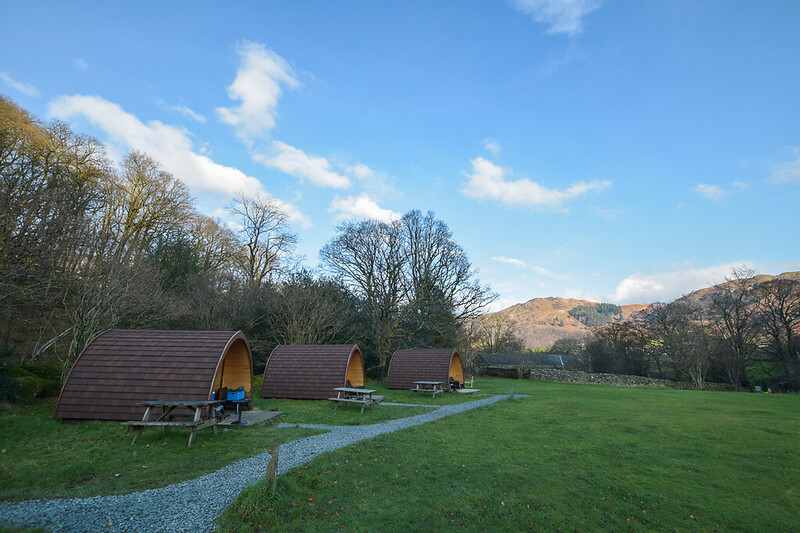 However, if you’re not staying at the YHA Borrowdale then here are a couple of places you can park nearby to the walking routes. YHA Borrowdale – A large car park for guests staying at the YHA, all guests register their car registration number on arrival. Starting from YHA Borrowdale, head north following the stream that leads into the River Derwent and subsequently the massive space of Derwent Water. You are walking alongside the river, pretty much flat for most of this section, a lovely way to warm up those legs in preparation for the climb ahead. 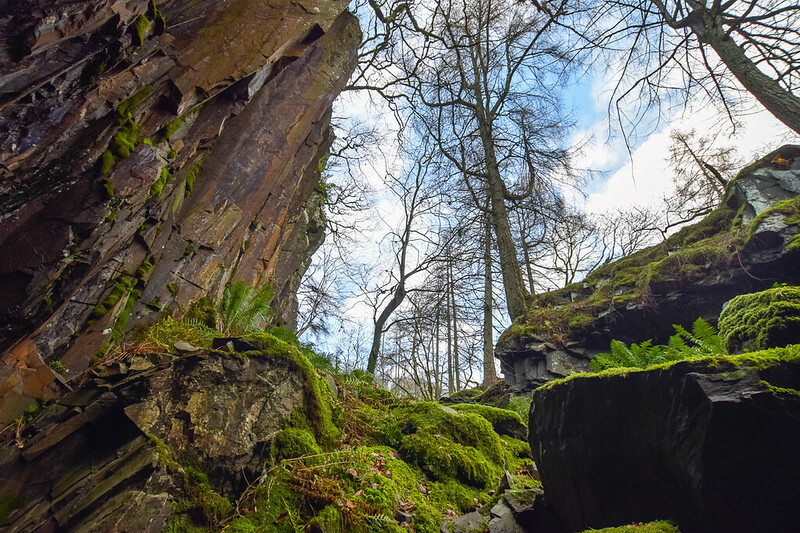 After about 1.5-2 km you’ll walk through a lovely wooded area, which has a few caves, I opted for the lower route but after re-visiting the Wainwrights in the area (the following day) I spotted Castle Crag that I missed out. If you take this detour then you’ll miss out some of the woodland section and add an extra climb. But if I’d spotted it beforehand then I definitely would have included. From here you then head down, close to the village of Grange on the Cumbrian Way, a short road section, before you reach the boardwalks at the edge of Derwent Water. If you look up to your left you can see the ridge of Catbells Fell, the next stop on the walk. 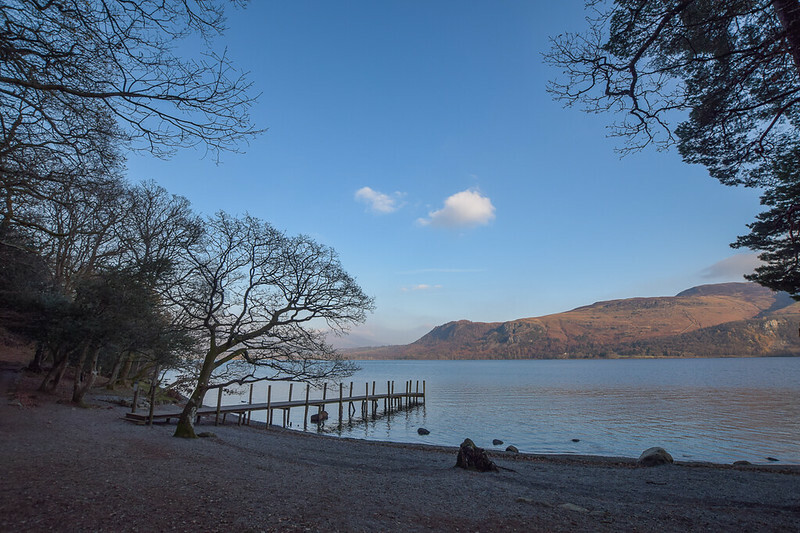 Walking along the edge of Derwent Water, you have woods on one side and water on the other, not to mention some stunning views of the mountains across the water. You follow the Cumbrian Way all the way to the Outdoor Centre. At this point, you walk around the centre, then it’s the start of the uphill. Be sure to follow the path and the instructions which direct you to keep to the path to avoid erosion. 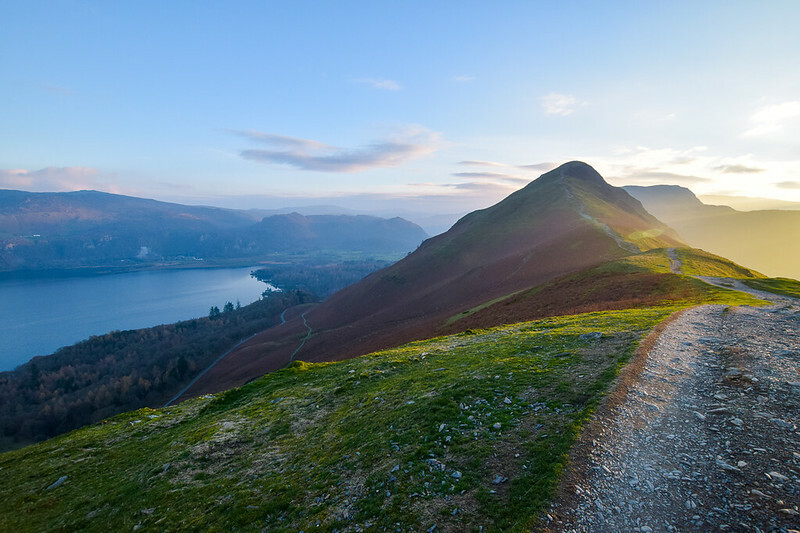 You’ll see a sign saying Catbells Fell (1 Hour). In distance, it’s just over 1 km to the top but be prepared for plenty of stops on route to stop and enjoy the views of the fells all around you. After a picnic and photo stop, you can continue on to the next fell Maiden Moor. Now I should point out that as I started walking late, I was losing the light here! It’s a good job the path was easy to follow! The great thing about this fell is you can look back towards Catbells and the path that you’ve walked along. The final fell of the walk is High Spy, about 2.5 km from Maiden Moor but again a relatively easy path to follow (in most places). High Spy is easy to spot in the distance with an iconic cairn at the top. From High Spy summit, I descended in the dark, with the use of my head torch shining the way. Now I’m not sure if it was the darkness but the path was a little more challenging, as it’s more moorland for the first part. I eventually found a path which leads now for about 1 km. But then it’s another short moorland section, about 0.5 km (which was boggy in some areas). This takes you to the boundary and a stile to climb over before reaching a steep and rocky downhill, following Tongue Gill all the way down to the path that I started on and takes you back to the YHA Borrowdale. My day 2 walks take in two of Wainwrights Fells, you might think, only two! But they are both awesome fells and you’ll want to spend as long as you can on each one! Since I didn’t want to drive on my Lake District trip I opted to walk from YHA Borrowdale, this does mean for this particular walk you do the same 3 km section at the beginning and end of the walk. There are a couple of different paths you can take to vary it a bit. 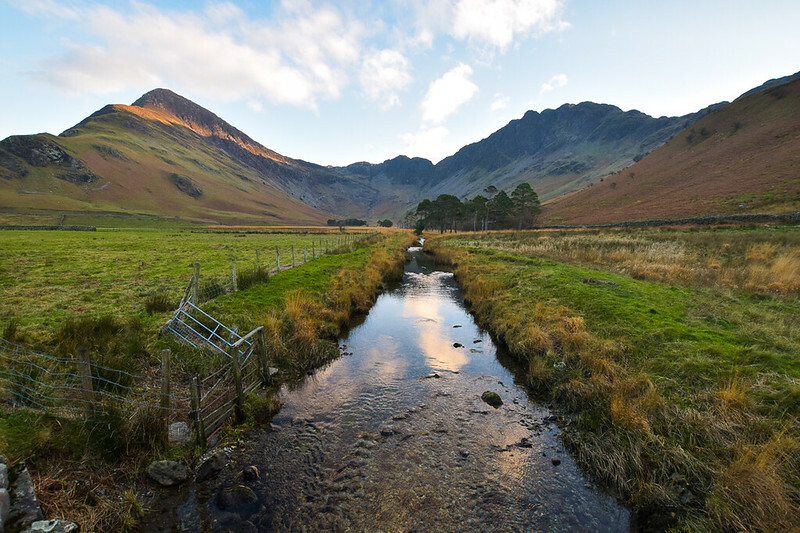 Alternatively, you can begin your walks at another one of the Lake District YHA’s Honister Hause, which has a paid car park. This will take off 4 miles/ 6 km from the walk, but I will let you decide! From the YHA, head towards Seatoller, then take a short section on the road before heading uphill. If you like the views then feel free to stop and admire the Lake District fells all around you. 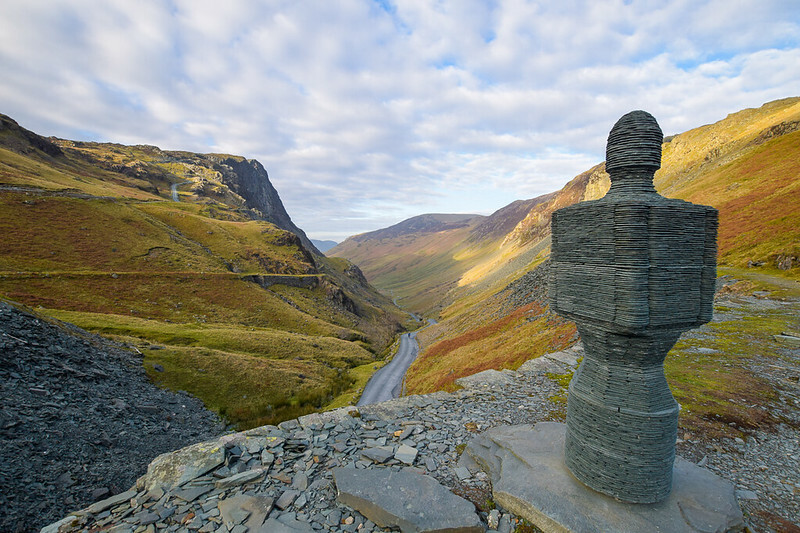 The next 2 km, you can do a mix of walking along the road and tracks which weave either side of the road all the way up to YHA Honister Slate Mine. After your stop at Honister Slate Mine, you continue a steep climb up a wide track, all the way up to Bell Craggs, which is a very windy section on the map. At this point, I was comfortable walking on the trail and missed the path, nearly ending up in a dark quarry tunnel. There’s a sign which clearly tells you that you’re going the wrong way! From here the path is a bit hit and miss, even in good weather I managed to keep wandering off from it. Maybe you’ll be better than me, as I’m normally too busy looking at the views to notice the path! 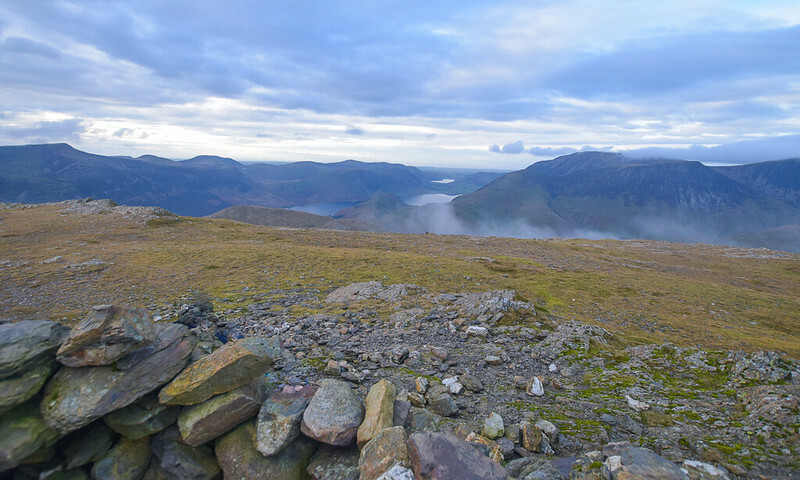 It’s about 2 km along this section until you reach the stunning summit of Fleetwith Pike fell. And the views from the summit are absolutely breathtaking. I honestly could have stayed up there all day. 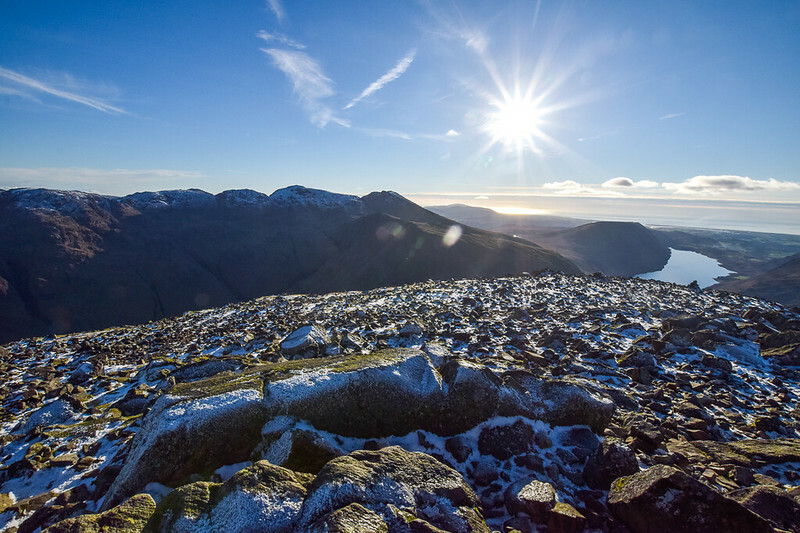 On a clear day, you have 360-degree views of 100% Lake District fells! Now for the downhill section, it’s just over 1 km, called Fleetwith Edge. However, this is a really steep section, so be prepared to take it slowly as it’s rocky and you have to scramble in some section. I was wishing that I’d not left my walking poles in the car as they would have been handy on the way down. If you are not keen on the steep downhill section (Fleetwith Edge) then you may wish to consider doing this route in the other direction. It will mean you have a very steep uphill section but sometimes I find them easier than doing in reverse. 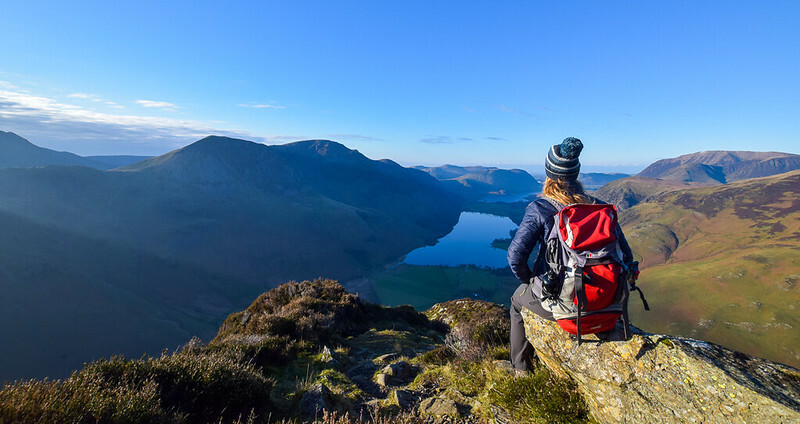 You have a short section along the flat but this is a wonderful part as you get to see the very steep Fleetwith Pike that you have descended and Haystacks Fell which you are about to ascend. The path is well-established and takes you up first a steep short section. Then it continues uphill to the first of Haystacks three peaks where you then have a bit of scrambling before reaching the top of the fells. For day 3’s walk, taking in three fells on your route. There are longer options if you wish to do a full circular route; however, due to winter daylight hours, I opted to walk the three fells on a linear walk. Heading north from YHA Borrowdale, taking the same route as on day 1, walking along the River Derwent. Before you continue on the path to the woods, take a left turn through the field and up the path, you descended on day 1’s walk alongside Tongue Gill. Be sure to look out for the old quarry buildings still standing, as well as a couple of tunnels. As you reach the top of the path, climb the stile and then navigate as best you can through the boggy moorland section of the walk. Now there are two paths to the top of Dale Head Fell. On the OS Map, the footpath, marked in green takes you directly up the steep fell (there isn’t really a clear path). Or to the right of Dalehead Tarn, there is a more well-established path that is slightly longer, but of course, not as steep. Depending on whether you want to try different paths, I would take the steeper footpath up and the other (black marked path). But if I’m honest the footpath to the right of Dalehead Tarn (from the bottom) would be the option I would take both up and down to the fell summit. From Dale Head Fell, it’s simply a short walk, about 1 km, following the ridge and then bearing right to the fell summit. At the top, there’s a cairn but if you need some shelter from the wind a few 100 metres away there’s a larger shelter, great to stop for a picnic or hot drink. My Sigg Hot and Cold flask was full with peppermint tea, as usual! From Hindscarth fell, you take the footpath back and follow the trail round to the right which takes you back along the ridge and downhill. Before the next uphill section of the walk to Robinson Fell. Once you’ve reached the summit, simply stop enjoy the views and then retrace your walk back to the start. Saving my favourite walking route until last and bagging five Wainwright fells on this walk! 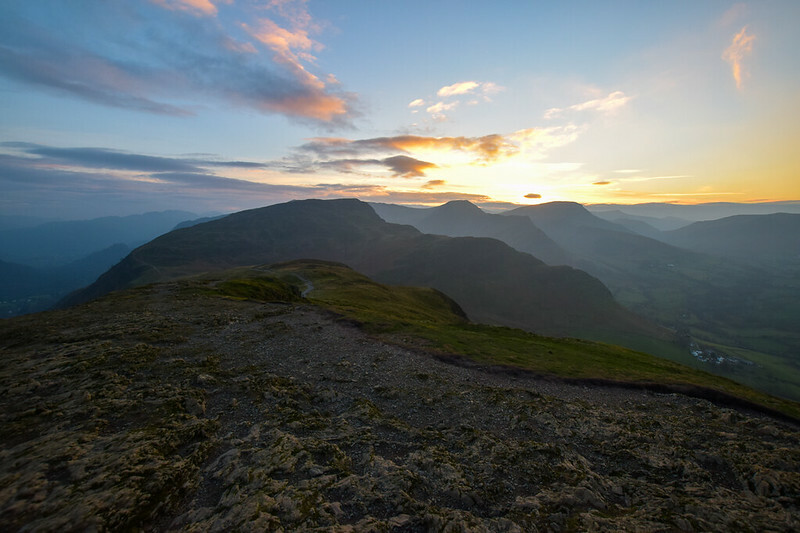 Although, a similar ascent to the day three route, the distance is considerably shorter so be prepared for the toughest walk of the four fell walking routes. 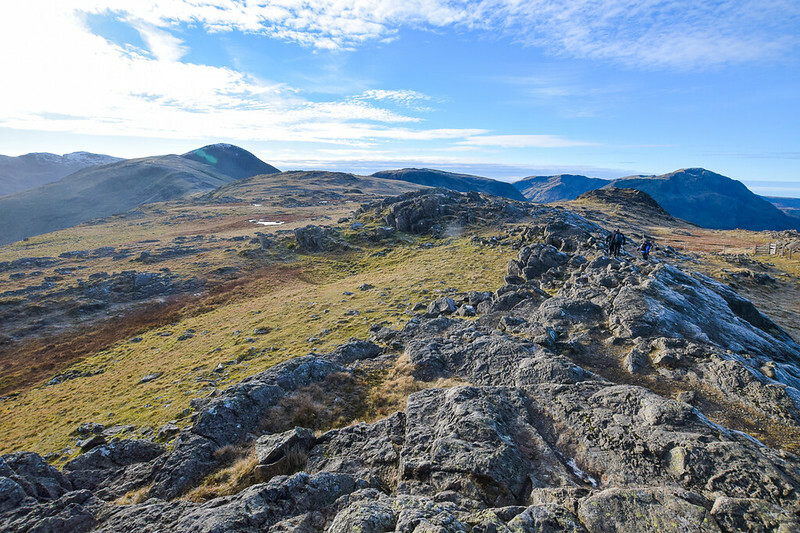 This walking route includes three fells over 800 m too! For this walking route, I checked out of YHA Borrowdale and drove up to Honister YHA. Here I left my car there to give myself a head start on the route, mainly due to winter daylight hours but also a long drive back to Nottingham at the end of the day. Less than 1 km away is Brandreth Fell, only a slight incline but as you head towards it you have stunning views towards the next summits Green Gable and Great Gable. Following the footpath continuing to head south, you make your way around the crags and follow the Boundary Posts all the way to the summit. There are small stone cairns leading all the way to the top so even in bad weather you can find your way. 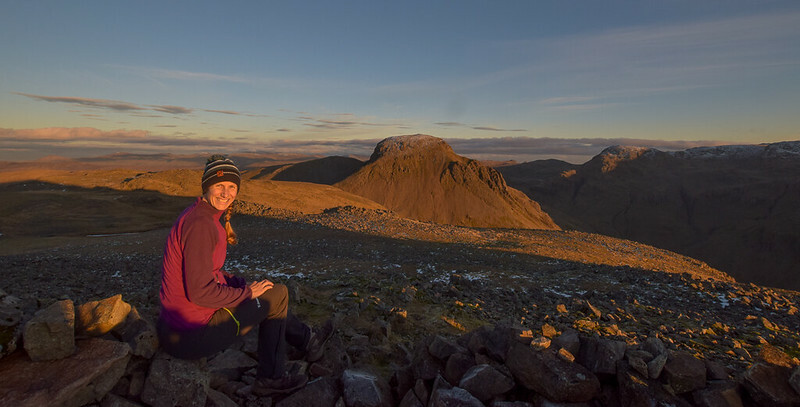 Green Gable is the first mountain fell above 800 m in the Lake District at 801 m! But from here looking up to Great Gable seems a little daunting! 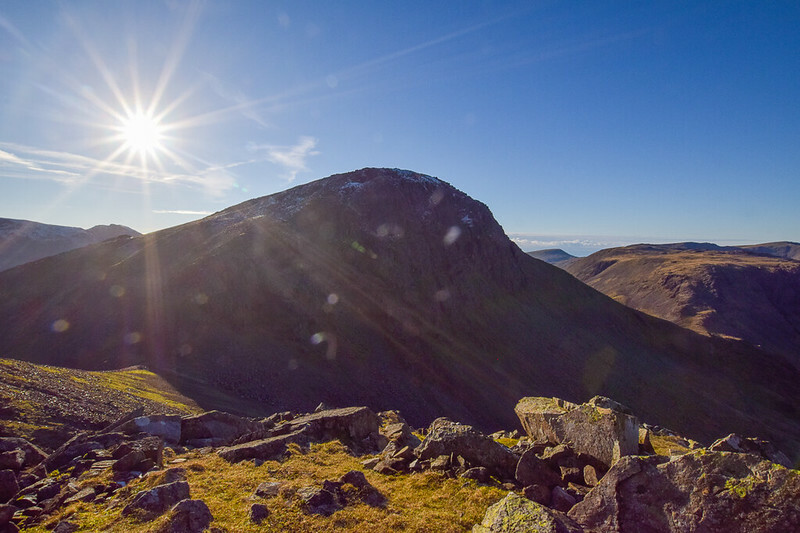 Great Gable is less than 100 m to the top from Green Gable, but sadly you have to descend about 50 m first, making your climb upwards nearer 150 m to Great Gable summit! The first section is very loose rocks and stones so take your time and be careful with your foot placement. There are also a few sections that you’ll need to scramble up and use your hands to climb to the top. Since I was climbing in late autumn there was a thin scattering of snow on the top of the highest Lake District fells. 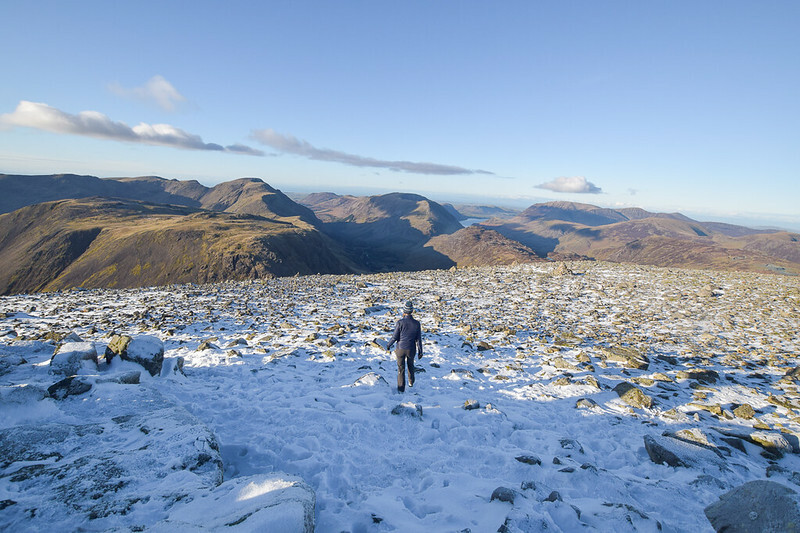 As I was hiking up to Great Gable there were a few snow and ice patches on the route up so even more reason to tread carefully! Once you reach the top you are treated to the most amazing views. Did you know that you can see all the way to the Isle of Man to your west, to Scotland in the north and apparently on a really clear day you can see all the way to Wales? I was lucky enough to see both the Isle of Man and Scotland, but Wales was hiding from me! Directly south you can see some of the other highest Lake District fells, Scafell, Great End and of course, the highest of them all Scafell Pike! All of which were covered in a scattering of snow too. 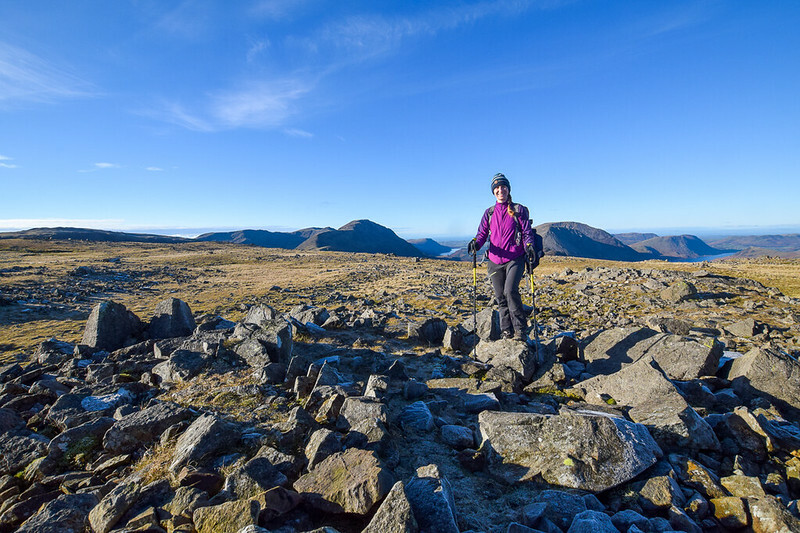 And now onto the last fell of this four-day walking extravaganza, another high summit at 802 m. Descending Great Gable via the north-westerly path, you make your way down to Beck Head Tarn, before then heading back up again! 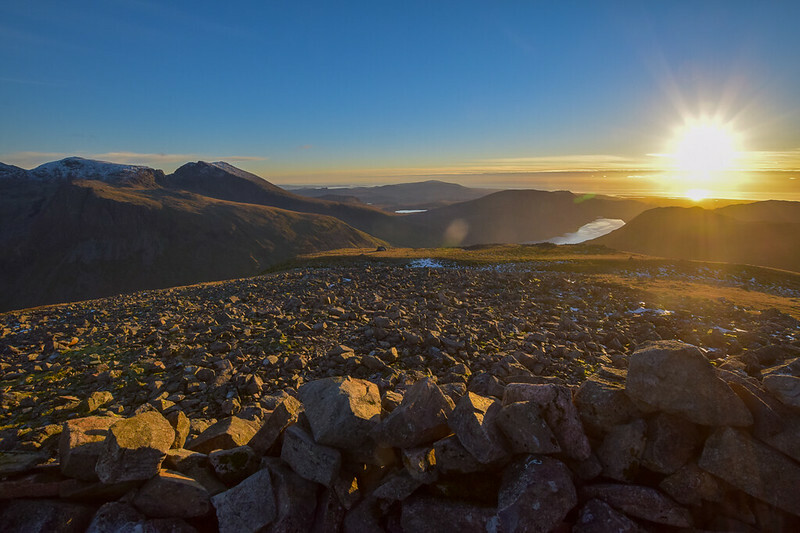 Be sure to stop and admire the views on the way up back towards Great Gable, in the evening the sun lights it up and it looks beautiful. 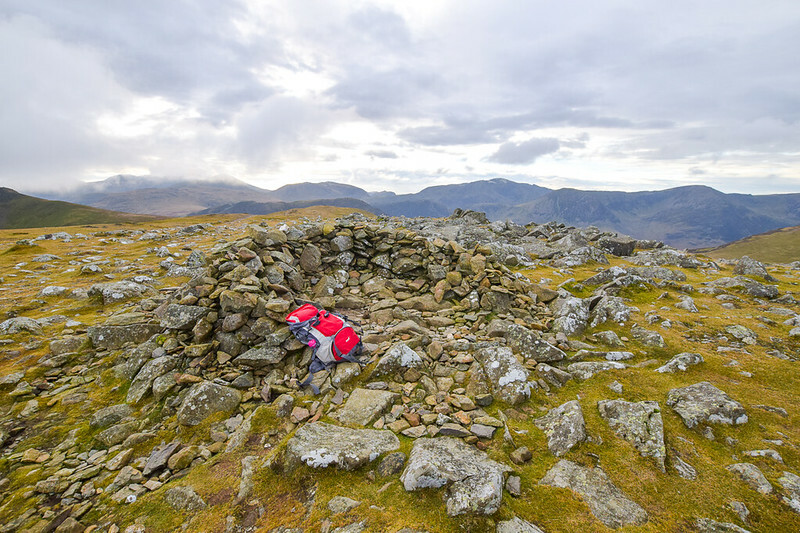 Kirk Fell summit is a short walk, obviously steep but you’re quickly at the top in a small wind shelter made of stones. Just to clarify when it says shelter in the Lake District, it’s not a full covered shelter but more a stone shelter shielding you from the wind. If it’s raining then you’re completely exposed, unless it’s that sideways rain! From Kirk Fell summit there’s another really steep and long descent to the bottom of the valley, following Sall Beck. Before heading across a footbridge and up another equally steep uphill section, which I hiked several years ago as it’s part of the Coast to Coast long-distance hike. You follow Loft Beck right back up to nearly 600 m.
Follow the path all the way to the Dismantled Tramway Path where you can follow the very straight path for about 1 km all the way back to Honister Slate Mine. So those are my four days fell walking in the Lake District from the beautiful Borrowdale. I hope you enjoy. 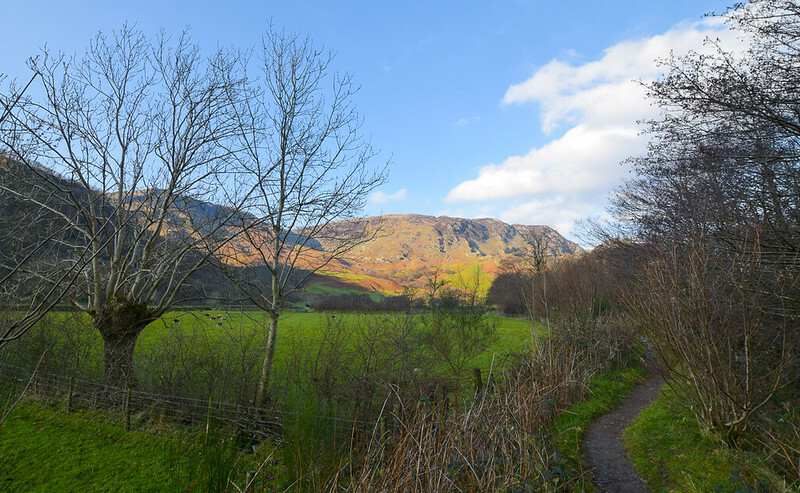 Are you planning a fell walking trip from Borrowdale? Do you have any questions about my routes in the Lake District? Sign up now for my monthly newsletters to receive all my latest posts, top travel and hiking tips. Plus competitions, giveaways and discounts so you can travel more! 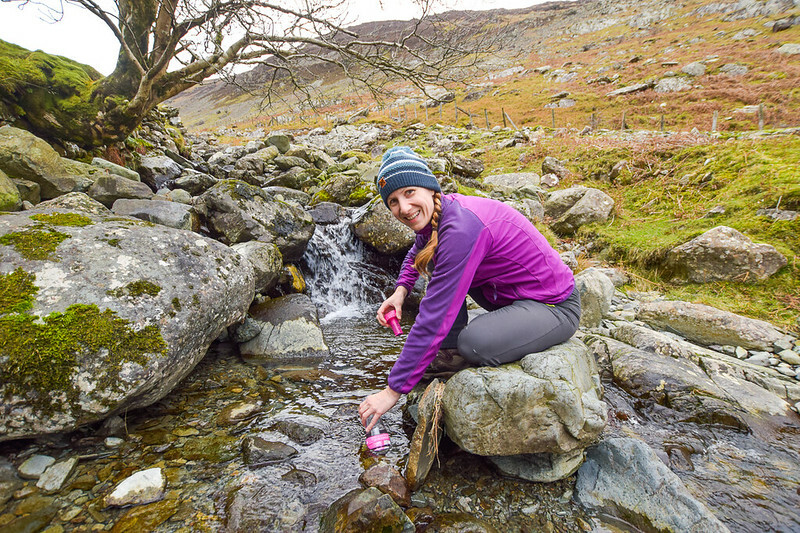 20% Discount codes for Water-to-Go Bottles, Country Walking Magazine and More! Hi Caroline, ah thanks so much, yeah the YHA is awesome, I definitely want to go back again and explore more! The big hike is scheduled for May 2019 so will be sharing lots more about the hike over the next few months. I’ve written one post but there will be more coming soon!